Top 5 Luxury Camps in Botswana! 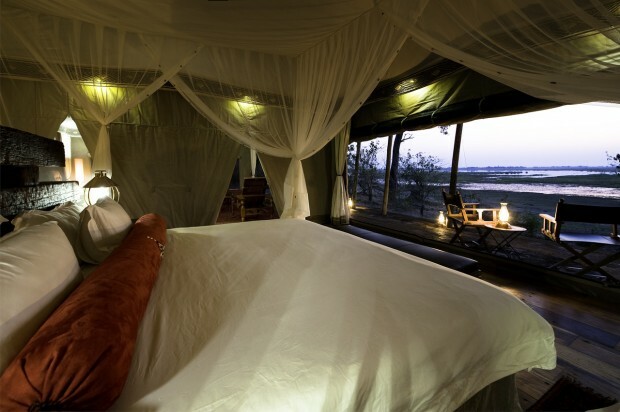 This traditional 1940’s safari camp is vintage luxury at its best. Perched on the edge of the Makgadikgadi Pans, one of the largest salt pans in the world, and deep in the Kalahari Desert, its luxury is derived from the total silence and privacy afforded by the lodge’s location. Comprised of 10 large canvas tents with stylish interiors, Persian rugs underfoot and classical décor, the lodge provides guests the perfect sanctuary to the dusty pans outside. These pans and the secrets they hold can be visited by 4×4 quad bike excursions across the Makgadikgadi, once a huge super lake that dried up thousands of years ago. Found in a private concession in the Okavango Delta and shaded beneath the branches of nearby trees, this luxury lodge is split between two camps that comprise seven large rooms in each. Raised above the ground on wooden platforms, the rooms are incredibly spacious and possess their own plunge pool if you wish to cool off during the heat of the day. 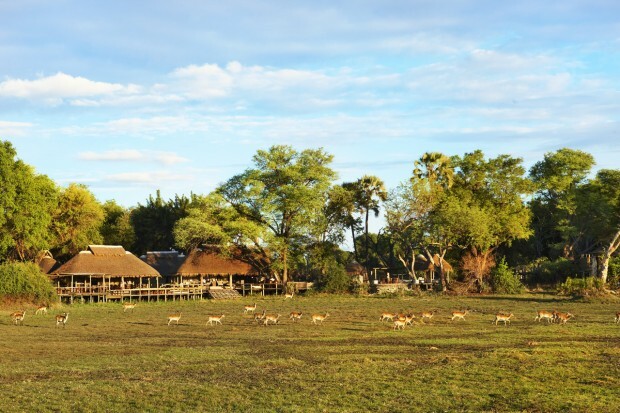 Located in the far North of the Okavango, the world’s largest inland delta, its positioning allows the lodge to straddle a wide variety of habitats and as such provides incredible wildlife viewing. Boat trips and game drives are on offer to guests. Small and intimate and capable of facilitating only 8 guests in 4 spacious traditional safari tents, the emphasis here is on individual hospitality. If a guest wishes it is the perfect camp to have exclusively to yourself. With beautiful views of the Zibidianja Lagoon, the rooms at the camp boast traditional safari styling, reminiscent of that at the turn of the 20th century. 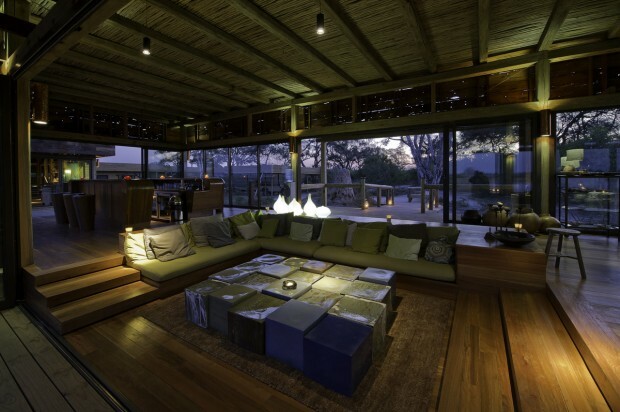 The main camp area is similarly dressed and is made for relaxation. Massages are on offer, a perfect foil to any aches and pains acquired while on game drives and nature walks. Located on Chief’s Island, which is created yearly by the seasonal flood waters of the Okavango Delta, this is one of the best places to view big game in the Delta, known as ‘the predator capital of Africa.’ The camp itself blends so well with the landscape that game will casually pass by, completely unawares you are watching them from the comfort of your room. All 12 rooms at the lodge possess their own private deck with views out across the floodplain and are placed in the shaded surrounds of Jackalberry and sausage tree woodland. 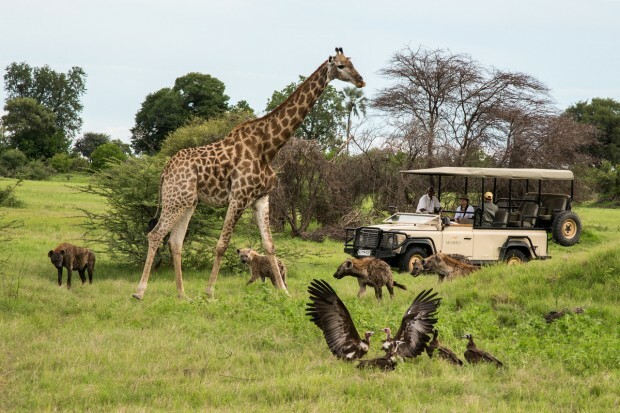 As the camp is a part of the exclusive Mombo Concession of the Moremi Game Reserve, it is the only place in Botswana to hold Big 5 status, allowing guests to see lion, elephant, rhino, leopard and buffalo. Definitely one of the best camps in Botswana! Also found in the Mombo Concession of the Moremi Game Reserve and holding the same Big 5 status, is Mombo Camp. 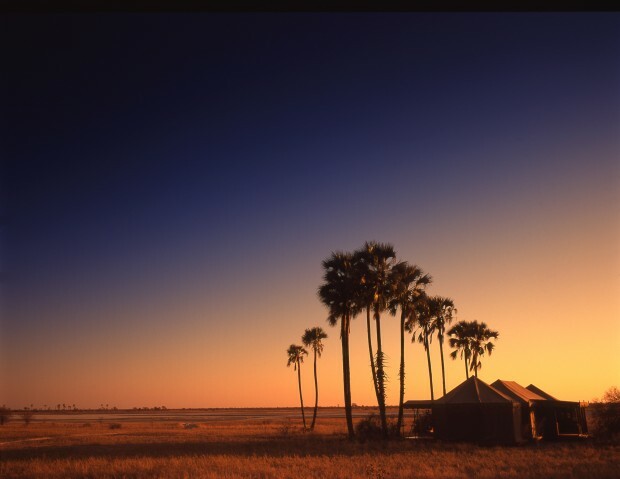 Mombo is widely considered the best camp in Botswana. Its incredible sense of service, luxury and abundance of wildlife, particularly large predators, allows for an incredible experience. Elegant décor is complemented by a plunge pool and boma with each room. Raised two metres off the ground and shaded under large trees, the views of the surrounding floodplains are naturally spectacular. Wildlife in the area is teeming with lion, wild dog and leopard often passing by under the lodge, altogether a luxury and wildlife bonanza. 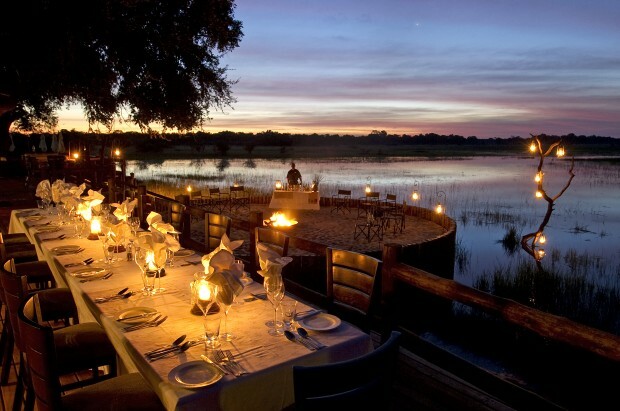 Posted in Botswana, Luxury Travel and tagged with Botswana, camps, Luxury Travel, Nature, Pools, safari, wildlife. RSS 2.0 feed.